Kuukuu has two private function rooms. Smaller meeting room seats 10 persons and the larger 16 people. During lunch hours (on weekdays from 11.30 till 15) we serve lunch menu only. After lunch it is possible to pre-order a set three course menu or order on site from a reduced a la carte menu. We take into account special diets and allergies. For special occasions, we can tailor-make a menu, according to your wishes. More information is available, please ask our friendly staff. Menu, as well as the number of guests must be notified by at least four working days prior to the event. This is also the reference for final billing. 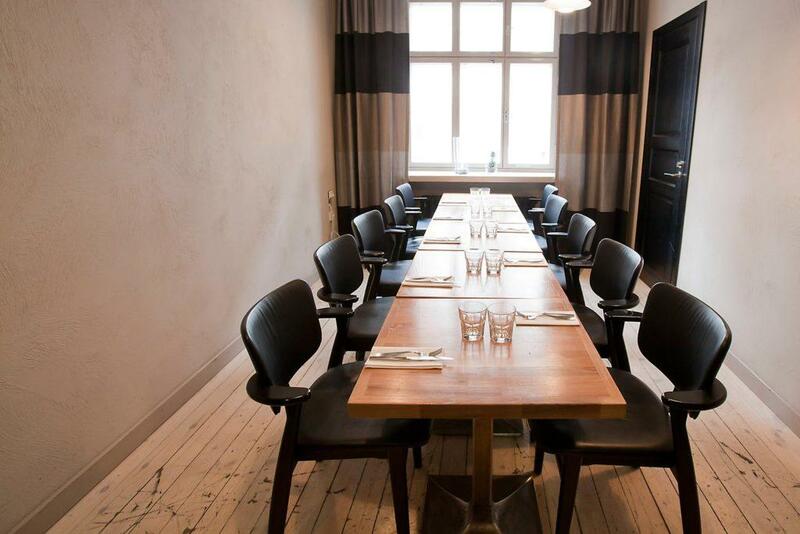 For private dining room reservations and parties larger than 6 persons, please contact us via email ravintola@kuukuu.fi or call us at +358 9 2709 0974.